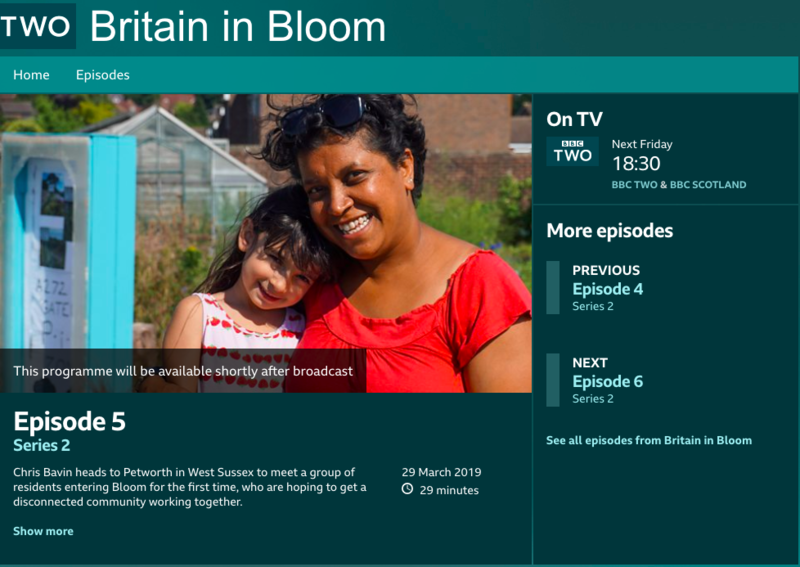 Petworth Film House in collaboration with Petworth Gardener’s Club invites you to this free showing of the BBC broadcast of Britain in Bloom (S2 E5) which features Petworth. This is a free showing, with no pre-booking available. Admission will be on a first come first come basis and if the auditorium is full we apologise we will not be able to make any further admissions. Chris Bavin meets the residents of Petworth in West Sussex who are entering Britain in Bloom for the very first time. These Bloomers want to engage the whole community, from the historic town centre to the modern housing estates on the outskirts, in an effort to bring the community spirit back to Petworth. Firstly, they want to spruce up the drab entrance to the town by the car park to impress the judges. Next, at the local primary school the young Bloomers are creating a brand new sensory garden in an unloved part of the playground. Finally, the team have set the local residents a challenge: to turn some overgrown allotments into award-winning show gardens. For even experienced Bloomers this would be a huge task and they have only got eight weeks until judging day.